The Rolling Stones are known as “the best Rock ‘n’ Roll band of all time” for a reason. For those who do not know, the Rolling Stones are arguably the most iconic boy band of all time. Trust me, I would know. Even if you do not know of the band, you have most likely heard one of their songs. Whether in a movie or on the radio, songs like “Paint It Black” and “Gimme Shelter” are featured all across the world throughout different media. Lead singer Mick Jagger has been mentioned in popular pop songs such as “Tik Tok” by Kesha and “Moves Like Jagger” by Maroon 5. Why are they so iconic? It’s simple: they’ve made history. The band formed in 1962 and has thrived for 56 years. Although Jagger and Richards have been best friends since before the band was created, they have had some bumps in the road. Despite this, the band has never come to the unimaginable conclusion of breaking up. Actually, with some extensive research, it is clear that the Rolling Stones have more longevity than every other band in history. The Stones and their music have been interwoven into my family since the beginning. Growing up in the ‘70s, my dad exclusively listened to classic rock music, and he found the Stones’ albums to be his go-to. When I was born, he was determined to get me to love classic rock as much as he does, and he succeeded. He would constantly play their albums on repeat in the car and blast them on surround sound in our living room. When I look back on my childhood and early teenage years, no matter the memory, the Stones’ music is playing in the background. My first memory of the band was when I was about six years old and my family was on our way to the mountains. My dad played the song “Dead Flowers,” which I quickly fell in love with. I did not know what the song was named, but I called it the “Farmer Song” because it sounded like a song a farmer would sing. Since then, I have listened to all of their albums thousands of times, and have even seen them in concert twice (yes, they still perform all over the world, even though they are all older than 70), and I am seeing them for the third time this summer, during their European tour. The Rolling Stones are inarguably the best and most iconic band to have ever lived. The individual band members have had extraordinary milestones: Jagger was knighted (although the Queen of England herself refused because she thought of him as an inappropriate candidate) and Richards was featured in the well known movie Pirates of the Caribbean: At World’s End. The band was put in the Rock ‘n’ Roll Hall of Fame and have had popup exhibits all over the world (one of which I was lucky enough to experience). 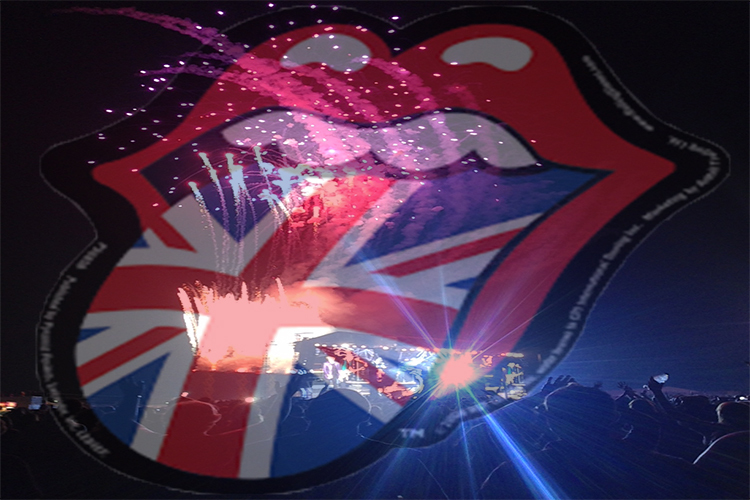 Having performed over 2,000 concerts and produced over 370 songs, the Stones are bound go down in history.